FORMAL qualifications are not the only way up the career ladder, with informal, non-accredited training also valued by employers. A vocational certificate or university degree may only be the entry-level requirement to get the job, with employers taking over training from there. Workskil Australia chief executive Nicole Dwyer says informal training is often “very job specific’’ and excellent at assisting staff to learn the more complex components of a role. When done internally in the workplace, it is also more likely to ensure new personnel can hit the ground running, as well as help staff to perform at a higher level and mitigate legal or compliance risks within a business, she says. “There are many examples of internal recruits winning promotions through strong work performance (and) many companies are very keen to promote strong internal recruits who display the correct attributes,” Dwyer says. She says another benefit is it’s generally offered during work hours, in the workplace and with other colleagues, offering a chance to build strong team cohesion. Convenience store chain On The Run (OTR) conducts myriad training programs for employees. Its general manager (food) Mel Millard says informal training offers practical skills workers need for their job and is more focused than accredited courses that often cover topics some workers may never need to know. “On-the-job learning has absolutely everything that is required of the role they are going to do,’’ she says. Millard, who started at OTR as a sandwich artist, says she has “never been asked to jump through a qualification hoop’’ to get promoted. 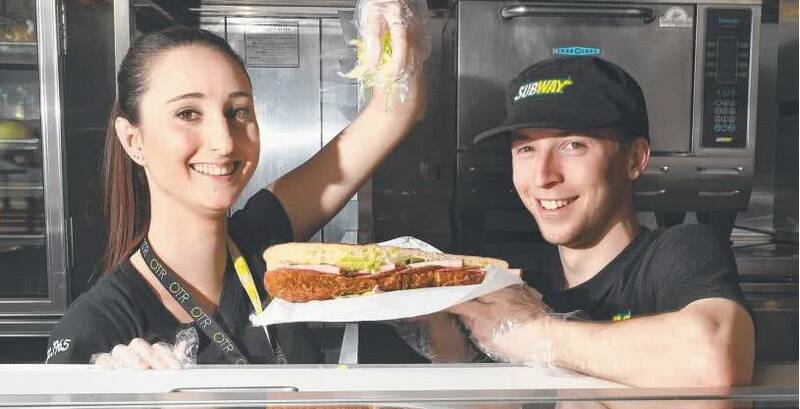 Jessica Vermeeren started at OTR in 2013 as a Subway team member but since then has received on-thejob training and one-on-one mentoring to progress to senior store manager. She believes the internal training has been far more relevant than anything she could have studied at university or TAFE. “The first-hand experience in dealing with customers is invaluable,’’ she says.